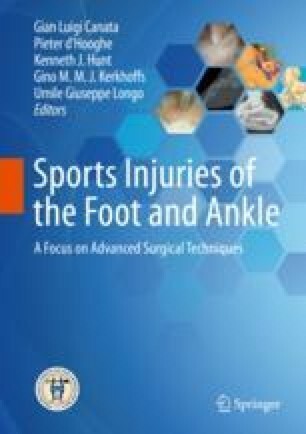 Less invasive techniques in foot and ankle surgery mean shorter incisions and less dissection. However the surgical goals of the procedure still have to be obtained. The potential benefits are fewer wound complications, less postoperative swelling, better maintenance of bone blood supply, and potentially better excision of cartilage in fusions. The disadvantages are getting the same correction of anatomy and ensuring correct placement of hardware in fusions. Subtalar arthroscopy can be used for fracture reduction and fusion. Periarticular structures causing impingement or pain can be removed such as osteophytes or accessory ossicles. Midfoot arthroscopy is primarily of assistance in fusion. MTP arthroscopy can be used to diagnose plantar plate injuries, assess cartilage loss, remove dorsal osteophytes, as well as perform fusion.